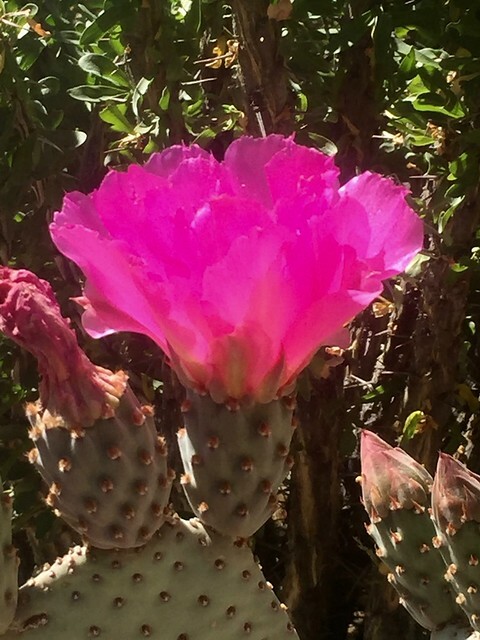 Posted on February 4, 2019, in Anza-Borrego Desert, cactus, California, Ruby Tuesday Too, Southern California and tagged Anza-Borrego Desert, Beavertail Cactus, Ruby Tuesday Too, Southern California. Bookmark the permalink. 5 Comments. That is a very striking blossom! Such a rich frilly fuchsia. Makes me want to take a bite out of it. Or have a nice skirt make with those folds and frills.